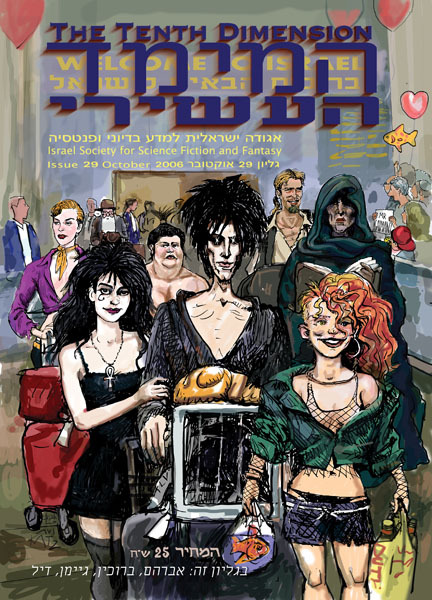 The event of the decade for the Israel SF&F community-- beloved author Neil Gaiman is the guest of honor at ICon. Here the shifting heroes of the Sandman series arrive at Israel's Ben Gurion Airport; I am off on the right, under the fish balloon, still waiting for the expected personage. Neil has long known of and liked Meimad cover #10; this painting he called "hilarious". We're not worthy!